In the supermarket industry, accurate information is essential. 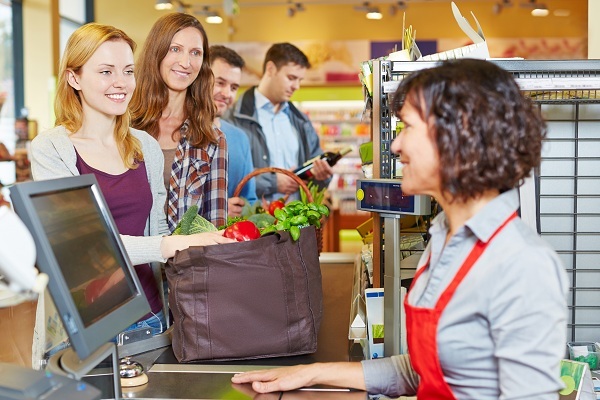 Effective Supermarket POS software needs to have great inventory tracking & ordering systems, customer tracking features, and sales trend reporting. It is important to identify the fast and slow moving items to keep costs down and profits up. Driving new business and repeat customers can be made easier with frequent buyer cards or customer loyalty cards. Utilizing the real-time data from our systems allows you to manage your business more efficiently and effectively. Easily compare live data from one or several store locations to identify trends or areas of improvement. Manage your inventories and employees, place orders with vendors, and build customer loyalty all from one software. We provide retailers the tools and functionality to run their businesses with less effort and more profit. Some businesses can get by with an old-time cash register, but for groceries and markets, checkout speed & efficiency can make or break your business. Whether you own a specialty market, an independent location, or a large chain, we can customize a POS system with the hardware needed to meet your goals. variety of reports that will assist you with inventory and product marketing. Every market and grocer is different, so it's our goal to work closely with you to customize a solution to meet your needs. Please contact one of our POS experts and start building your system today!